The Carnegie Mellon University Venture Challenge (CMUVC), hosted by the CMU Undergraduate Entrepreneurship Association, is an annual, international startup competition that invites students from around the world to visit CMU’s Pittsburgh campus to pitch their ideas for cash prizes. The CMUVC brings together a strong network of resources, including mentorship from serial entrepreneurs, venture capitalists, lawyers and the opportunity to present and pitch to a panel of judges. 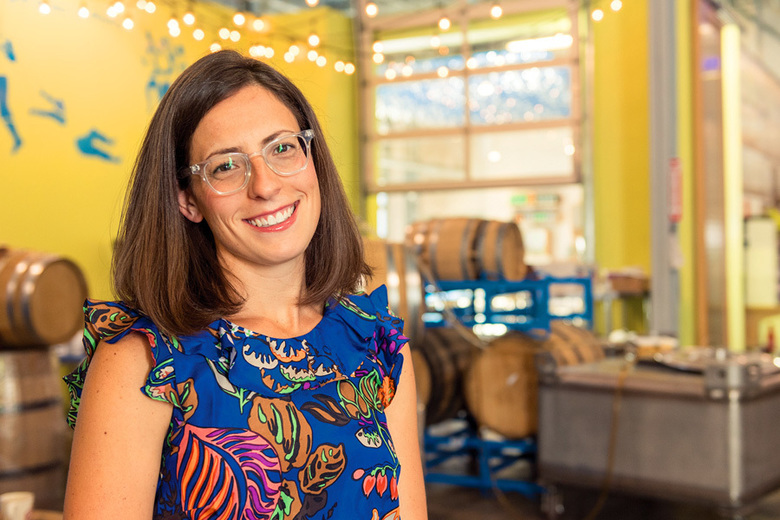 A recent article published by the Tepper School of Business features alumna Meredith Meyer Grelli (MBA 2010), co-founder of Wigle Whiskey. Meredith launched Wigle Whiskey with her husband and family in 2011 to honor Pittsburgh’s vital place in the history of whiskey in the U.S. Since then, Grelli has grown the most awarded craft distillery in the country—twice named a semifinalist for the James Beard Award for Outstanding Wine, Beer or Spirits Producer. Read the Tepper Daily News. Emily Kennedy’s high-tech mission to stop human trafficking began years ago when she was traveling through Serbia, Macedonia and Albania. By 2014, Emily—a CMU alumna—had co-founded Marinus Analytics, a social impact startup on the North Side working to use facial recognition technology to help authorities catch leaders of human trafficking rings. Marinus Analytics is also a Project Olympus faculty PROBE and a participant in the CMU NSF I-Corps Site Team program. This year's McGinnis Competition, held at the CMU Swartz Center for Entrepreneurship on Tuesday, March 26, 2019, produced three winners in the graduate track and two winners in the undergraduate track. Sponsored by the McGinnis family, Choolaah and Phone.com, first place of $25K in the graduate track went to Delta Band (Matt Spettel), a wearable strength training platform that allows automatic workout tracking. 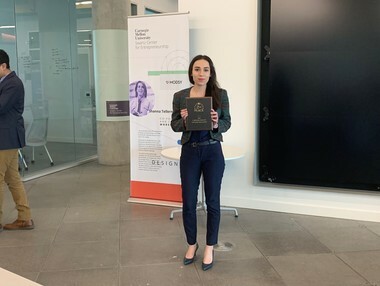 First place in the undergraduate track of $4K went to Ecotone Renewables (Sasha Cohen Ioannides), maker of sustainable food and agricultural systems. Coming in second place in the graduate track was LittleMoochi (Summer Xia), earning $15K, and third place went to Tarseer (Jorge Anton Garcia), who won $10K. Second place in the undergraduate track went to Glow Up (Mayowa Hannah Osinowo), who won $2.5K. Read the Pittsburgh Business Times. Bain Capital Private Equity has acquired a majority stake in Maesa, the business behind lines like Drew Barrymore's Flower Beauty and Kristin Ess Hair Care. Maesa, co-founded by CMU Fine Arts alumnus, partner and Chief Creative Officer Sean Brosmith, provides marketing, design, engineering, product development and operations services for the brands it works with across hair, makeup, personal care and fragrance. InterPrime, provider of “Apple level” treasury services to startups founded by CMU alumnus Kanishka Maheshwari, has been listed as a favorite from the Y Combinator W19 Demo Day 2 by TechCrunch. Kanishka is also a mentor for the VentureBridge program run by the CMU Swartz Center. 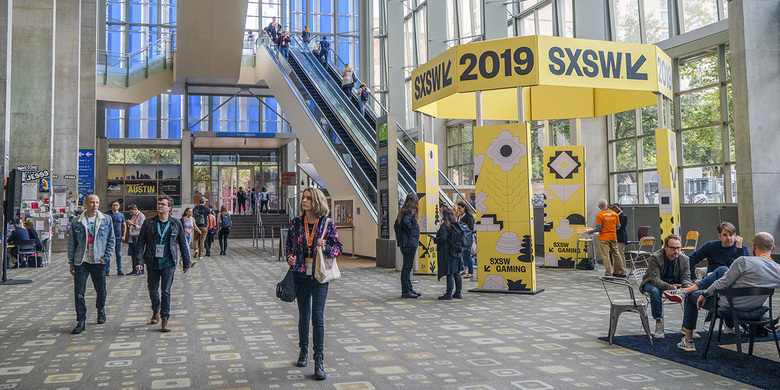 While attending SXSW 2019, CMU alumni and entrepreneurs Amy Millman and Cindy Padnos, founding and managing partner of Illuminate Ventures, participate in a podcast to discuss their SXSW panel "Turning the Tables: Entrepreneur to Investor." 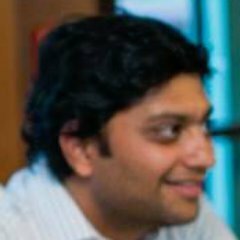 Also joining the discussion is Anuraag Jain, co-founder at Zensors, a visual AI company spun out of CMU and one of the startups working out of the CMU Swartz Center for Entrepreneurship. Advocate Aurora Health, Foxconn, Johnson Controls and Northwestern Mutual have selected CMU alumnus Jason Franklin, Ph.D. to lead the $100M Wisconn Valley Venture Fund. Two CMU students, Matthew Spettel (Innovation Scholar) and Jorge Anton Garcia (Swartz Fellow), have been named finalists in the 2019 Rice Business Plan Competition to be held on April 4-6, 2019. Matthew's company, Delta Band, develops a wearable device for gym workouts and Jorge's company, Tarseer, is developing a product to diagnose and monitor glaucoma. Find out more and see all of the competitors. CMU startup Delta Band, co-founded by CMU sophomore student and Innovation Scholar Matthew Spettel, is featured in an article written by Foo Conner, CEO of online media company, Jekko. One of the startups working out of the CMU Swartz Center, Delta Band is the developer of a wearable device focused on non-invasive tracking of gym workouts. Read more. On March 6, 2019, Bloomberg Businessweek released its 2018 Best B-School rankings based on survey responses from over 3,000 employers who recruit full-time MBA graduates. 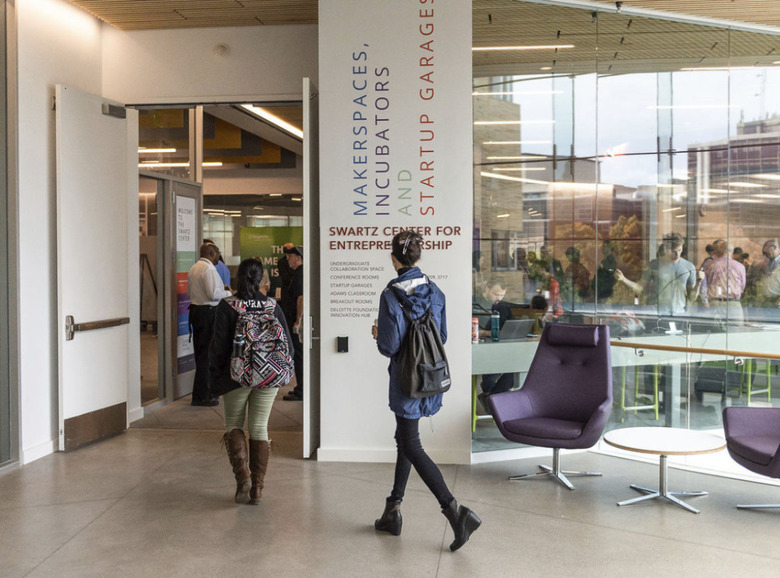 CMU's Tepper School of Business ranked high in many categories, including its Entrepreneurship program, which ranked third for students showing exceptional entrepreneurial skills and drive, and eighth for its reputation in Entrepreneurship. CMU alumnus Michael Preysman, founder and CEO of Everlane, the San Francisco–based brand known for $100 cashmere and transparent pricing, is featured in a recent article published in the Wall Street Journal. 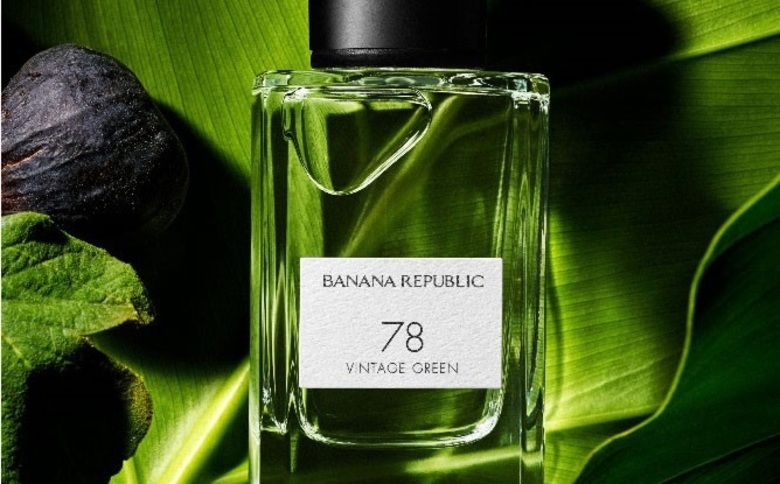 The article highlights Preysman's vision of a plastic-free future for his company—and the retail industry. 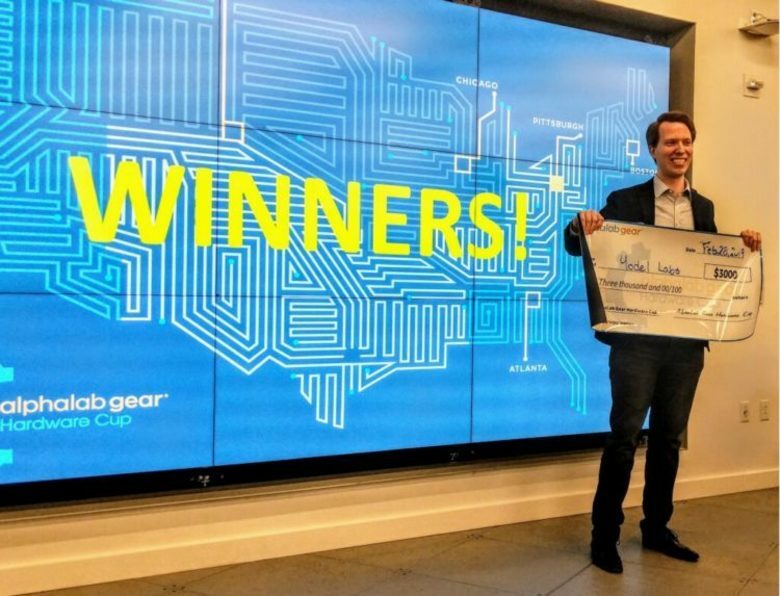 The Pittsburgh regional finalists for the 2019 AlphaLab Gear Hardware Cup gathered on February 28, 2019 for a chance to win $3K and compete for the international title at CMU’s Swartz Center for Entrepreneurship. The top prize went to Yodel Labs, a CMU spin-off that specializes in gear that uses sound waves to produce highly accurate, real-time measurements of the immediate area. Agro-business Panacea won the Audience Choice Award. Other contestants included the Strip District-based Aspinity and the materials company Arieca, a CMU NSF I-Corps Site Team and the makers of Thubber.